Minimum Order :- 1 set (3 piece in single colour) comes in 3 different sizes 38 (Medium); 40 (Large) ; 42 (Xtra Large)4 different colours available as per the order. 4 different colours available as per the order. 4 weeks minimum delivery period for any order for Despatched. 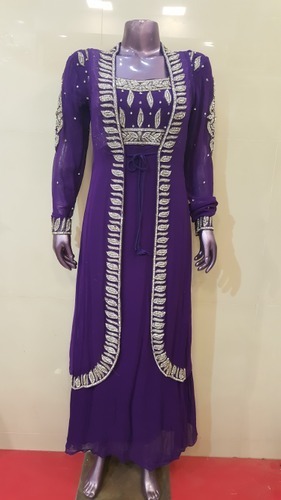 Established in the year 1958, we, 'ND Dresses', are an illustrious manufacturer and exporter of Asian Clothing/Islamic.Our entire collection is designed using finest quality fabric, which we source from authentic vendors. All our products are in accordance with prevailing fashion trends and can be availed b the clients in varied colors, designs, patterns and sizes as per their needs. Owing to excellent fitting, perfect stitch, colorfastness, skin-friendliness, our products are widely acclaimed by the clients. With the aim to have streamlined execution all our business activities, we have constructed a sophisticated infrastructure facility. This facility is installed with all the machines and tools that are essential for production of all the products due to which, we are able to cope up with the growing the needs of the patrons. Moreover, all the tasks and activities of our trade are looked after by a competent team of professionals. These experts are well-versed with the every pros and cons of their respective industry, this aids them in successful accomplishment of their own tasks within the scheduled time.